A very proud day for us! 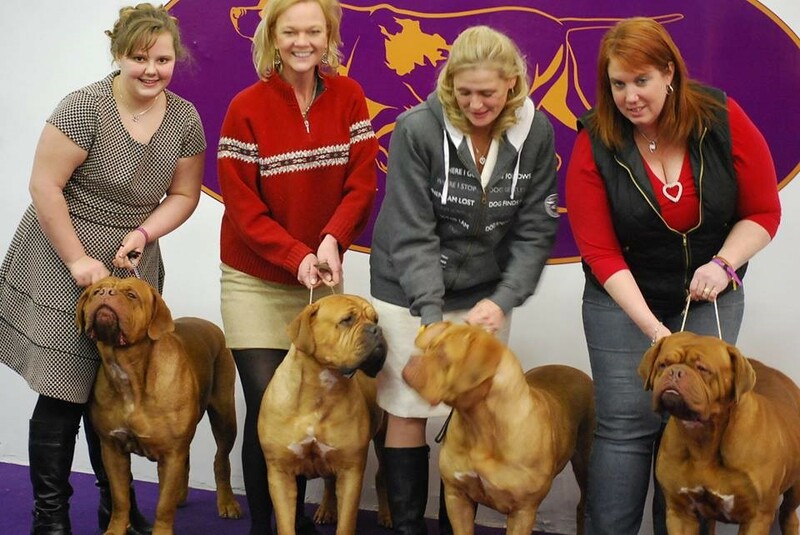 4 of our Dogues exhibiting at the Westminster Kennel Club Show 02/11/14. A video of the breed judging is available on the WKC website where you can view the type, structure, movement and temperament of our program. 2013 a wonderful year for us in the show ring. 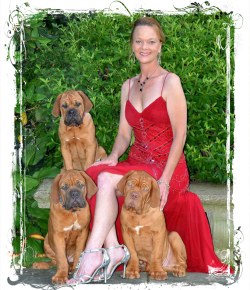 4 of our Dogues ending the year ranked in the US Top #20 in breed standing, 3 Top #10. 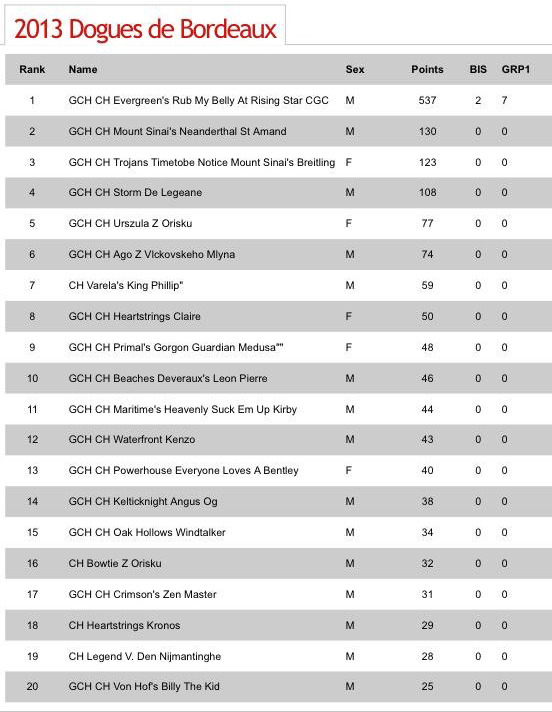 Storm #4, Urszula #5, Claire #8 and Kronos #18. All with sporadic showing and Claire and Kronos only 17 months old at end of year. We are very grateful to the many judges who have thought so highly of and rewarded our Dogues and program.